One of the most interesting things to me about cuisine is that no one can picture surreal or impressionist cooking. The words sound absurd. Food is so grounded that it is very difficult to imagine a food that takes you away from reality. Even if a dish is so delicious you get lost in the flavor, there is always something very real about it. Think about how difficult it is to talk about food speculatively. The literary critique can take a few steps back from a particular novel to talk about diction in general. The food critique might have similar liberties, but always feels the need to mention flavors with reference to a particular spice, culture’s cuisine, or even a dish. Part of this is because cuisine is the most natural of the arts. Where the matter of a novel is words (which are totally artificial), the matter of cuisine is roots and leaves and meat. The only other artist that has an immediacy to nature is the musician - which is true if they are a vocalist. Otherwise the musician still needs to manipulate nature, placing a median between themselves and the sound they are to produce. Even so, sounds aren't inside the listener the way food is inside the consumer. This is also seen with the chef, who stays in contact with the matter of their art in a way that no other artist can. The chef, then, has an immediate connection to the water, the fire, the grains, and the microbes with which they prepare a dish. So does the consumer, who appreciates the chef's art. This is evident in the difference between a painting before the eyes of a viewer, and a soup inside the mouth of the eater. This immediacy to nature that cuisine binds all participants in the art to the rest of creation. The binding exists in three places: the hands of the agrarian, the stove of the chef, and the bowl of the hungry. Immediacy to the natural also has an immediacy to the conventional. In Mexico, one can distinguish the North Mexican from the South Mexican by what sort of leaf they wrap a tamale in, a corn leaf or a banana leaf. More importantly, there used to be a time when one could distinguish what household a person grew up in based on how they were accustomed to certain dishes being made. Food is not just immediate. Food is intimate. Cuisine, then, is foundational to the human experience. Its immediacy to nature and to convention gives it a special precedence over many of the arts, (least insofar as its priority in human experience). But contemporary society has allowed for this art to be perverted more than any other art. It began with the immediacy of cooking to nature being taken away. There has always been a need for preservatives in food. But globalization began to stress that need because food started long journeys across various climates. Furthermore, many capitalist cultures began to demonize the kitchen. TV dinners and processed foods were advertised as freeing women from the slavery of the stove. The fact that the chef ties people to the natural began to be ignored. With it, our tie to the natural was suspended. Restaurant chains and frozen or processed food replaced mothers, rather than fathers and children realizing the importance of the chef and taking over the kitchen or at least helping out. In the last fifty years we have seen freedom from the stove become slavery to harmful chemicals in processed foods. What happened next was violent. Homes stopped being fed by family members and started being fed by Colonel Sanders. 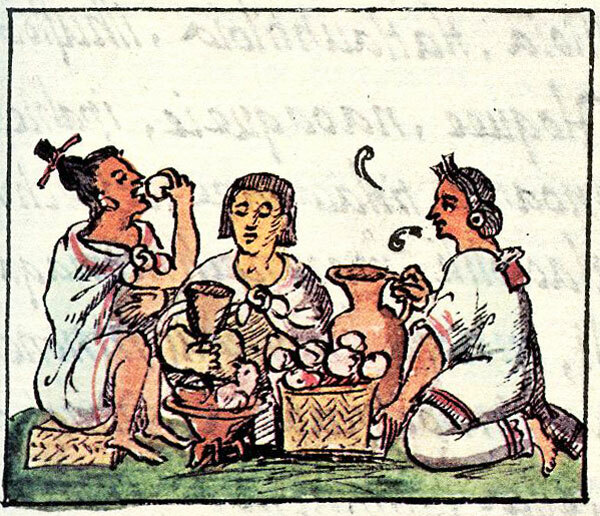 Coca-Cola became a bigger cultural staple in Mexico than homemade horchata. The rate at which fast food culture replaced local culture was epidemic. 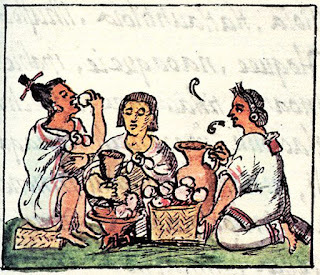 Because of this, places which had a rich culture of cuisine and intricate flavors, now have large corporations feeding people food that lacks necessary nutrients, like magnesium. Such a deficiency causes weak immune systems and anxiety. This is true even of homes where some cooking is done, but not all from scratch. Artificial seasonings and processed white flour can cause the same sorts of problems. This is all to suggest that insofar as the human experience is artistic, we need to return cuisine to the household. Immediacy to nature is vital to the human experience, especially the one who is trying to understand and present nature's beauty. In my first article, The Ear Listens, I mentioned that the artist needs to practice the art of looking. Art begins outside of the self and in creation, therefore the eyes of the artist must look towards creation. This is where the artist finds beauty. In this article, I make the further claim that the kitchen is the most intimate, prior, foundational place to start. Growing a few of your own ingredients strengthens this connection, insofar as its tie to nature. Lastly, I don't want anything I said to be interpreted as, "a woman's place is the kitchen." The kitchen is an important place for anyone, no matter what their gender. If the kitchen is anybody's "place", it is the place of the artist. The kitchen's immediacy to nature teaches the artist what beauty there is to draw from, and its immediacy to convention teaches how that effects the recipient of the art. If you find yourself hard pressed to find beauty, make yourself a Sunday meal. Happy Sunday, please pray for the hungry.